Have you ever wondered how people make sense of their unpaid medical bills? To an untrained eye, medical bills can seem like total gibberish. It’s hard to know if you’re getting overcharged or even what you need to pay. The whole situation is enough to make you want to shove the bill in a drawer and hope it goes away, right? Don’t ignore those unpaid medical bills! Medical bills will affect your credit score for years! Mistakes on medical bills will continue to haunt you and directly impact your future coverage. Here's how to get a handle on your medical bills, so you don’t run into major issues down the road. 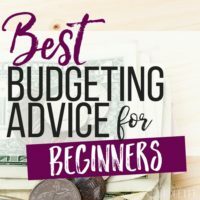 If you’re struggling to make sense of and organize your unpaid medical bills or if you’re having a tough time paying them, there are steps you can take to get things under control. It’s important you review and familiarize yourself with your bills to catch any mistakes or mischarges. A misdiagnosis or extra charge will end up costing you. Paying medical bills is as important as paying your other bills. Your medical bills should be part of your budget and if you need to set up payments, plan them into your debt payoff and emergency fund strategy. Don’t take on high interest loans to pay your medical bills or ignore them and to get sent to collections. Putting your head in the sand will only hurt you more in the long run. It’s time to (wo)man up and face your unpaid medical bills! Let’s tackle them and get them under control. We will make sense of your medical bills. I want you to review them and ensure they’re accurate and then work on a plan to get them paid off. You don’t want them to affect your credit score down the road. Here’s how to make sense of your medical bills today! To make sense of your unpaid medical bills, it helps to understand the different components, terms and what they mean. Health plans vary and depending on your insurance and coverage, the medical system is confusing to navigate. Understanding common terms will help. Statement: Your statement will come from your doctor’s office or hospital after a visit. An initial statement may show the amount submitted to insurance and pending charges. If the statement is a bill, it will typically say “invoice” or “charges due” on the statement. You may receive several statements letting you know charges were submitted to your insurance and the pending amount. These statements will typically say something like “Not a Bill” on the top. Claim: A claim is a form submitted by your doctor’s office to your insurance company. The claim will show procedures in a coded format. They will also show diagnosis, supplies and any procedures during your visit. Each procedure and diagnosis is assigned a numeric code. EOB: An EOB is an Explanation of Benefits. These statements come from your insurance company once a claim has been submitted. These aren’t bills. Your EOB will show what portion your insurance company will cover and what portion of the bill you are responsible for. This amount often depends on guidelines set between your doctor and insurance company. For example, if your doctor is part of an insurance network, they may pay more of the claim. Premium: A premium is the monthly charge you pay for your insurance. Your premium may come right out of your paycheck if you’re part of an employer’s insurance plan. Your employer may also pay a portion of your premium for you as a benefit of your employment. Deductible: Your deductible is the amount you (the patient) must pay out of pocket before your insurance kicks in. The total amount of your deductible varies greatly depending on your plan, as some deductibles are a few hundred dollars, others go up to thousands. (Usually the higher the premium, the lower the deductible and vice versa.) It's possible to an additional, separate deductible for certain services, like prescriptions. Family health insurance plans usually have an individual deductible as well as a total deductible that applies to the whole family. Copay: Many insurance companies require a copay for doctor visits. Your copay is a portion you pay up front when you go to the doctor’s office and the copay is put toward the final charges of your bill. Depending on your plan, your insurance company might require a copay of $5-$25 for regular doctor visits and a much higher copay for hospital stays or out-of-network visits ($200+). HSA: An HSA is a Health Savings Account. This is a type of insurance benefit offered by certain plans. Contribute to your HSA pre-tax directly from your paycheck. This money is set aside for use on medical expenses not covered by insurance—such as optometrist visits, vitamins, prescriptions and more. DX: Medical abbreviation for diagnosis. RX: Medical abbreviation for prescription. HX: Medical abbreviation for history. ICD 10: Numerical diagnostic codes. Understanding what each of these terms mean will help you make sense of your medical bills and determine what they’re outlining. One of the most frustrating parts of medical bills is they’re so darned hard to decipher. To the untrained eye, medical bills may look like alphabet soup. Don’t give up! Reading your medical bills will help you determine what you’re being charged for and protect you from issues down the road (like misdiagnoses). Medical bills are not only confusing to decipher, they're hard to organize. Plus, half the time it seems you get a past due notice when you don’t remember ever getting the initial invoice! Because most medical offices are focused on helping patients rather than sorting through paperwork, they're often a little slow, especially private practices. Just like any bill, keep your unpaid medical bills in an easy-to-access location. Whenever possible, review, resolve and pay them as soon as they arrive at your door. Create a spot where you keep paperwork when the mail comes in and add a reminder on your calendar to review paperwork every few days, if not daily. Remember: it only takes about ten minutes a day to take care of your mail when it arrives, but if you put it off the mail becomes a much bigger headache, so deal with those bills right away! When a medical bill comes in, first check to see if it’s a final statement. 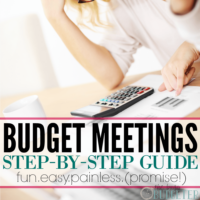 (If not, group like invoices, EOBs and other documents together while you wait for the final statement.) Look at the total due, review the charges and scan the entire bill. If you understand every detail on the bill, the amount seems correct and you’re able to pay the bill today, do it now! Call and pay over the phone or online, or write a check and put the payment in the mail immediately. File the rest of the payment stub, insurance papers, as well as any notes in a paper file or scan and save in an electronic file. Medical bills can be shredded after tax season, if your insurance has paid and the bill is resolved. Hold on to the bills until you’ve filed your taxes, however, because you can often deduct higher medical expenses like maternity stays. You may also need to refer to documentation for disability benefits and other claims if you’re facing a longer-term issue. The general rule of thumb is to hold on to bills for a year and then if the bill is paid, discard the paperwork. When you’re trying to make sense of your unpaid medical bills, do a little research to help you determine what they’re telling you. While Googling medical conditions and terminology is downright scary, looking up a particular code or piece of information helps you ensure the bill captures what actually went on. It’s also helpful to understand your insurance benefits and what they cover. Knowing beforehand if hospital stays, or visits to the ER or urgent care are covered by your benefits will allay any fears, especially if you’re in an emergency situation. You don’t want to end up weighing cost vs. benefits of calling an ambulance vs. driving your spouse to the ER in an emergency. Know your benefits beforehand. I know the booklets that come from your insurance plan can look terribly daunting, but at the very least, give it a skim and familiarize yourself with the benefits and nuances of your insurance plan. An ounce of prevention (and preparation) will be worth a pound of cure later. Medical personnel and yes, even doctors make mistakes, especially on paperwork. Hard-to-read handwriting, multiple practitioners and busy offices mean items get overlooked, double charged and mishandled. In a busy office, a nurse may come in and take your blood pressure and vitals before the doctor comes in. A distracted or busy doctor might retake those same vitals and write the information down again and you get charged for an extra procedure. Medical practitioners often bill even nominal activities. We’ve all been in a situation where a doctor has changed his or her mind about the best course of action. If they forget to adjust the info on your chart or in the computer you might get charged for an extra procedure—like paying for stitches when your doctor opted for a butterfly bandage instead. Always scan through your bills for mistakes. Look at the diagnostic codes (ICD 10) as well. Sometimes conditions like high blood pressure or cholesterol get regulated with diet and exercise changes, but may still be indicated on your patient profile. Ask for a change if you suspect any diagnosis was adjusted. Being extra diligent will help you avoid the hassle of a pre-existing condition which might increase your premiums and even cause concerns later on if you change insurance companies or doctors. Many people get nervous when calling their doctor’s offices with questions. Be brave! Medical bill oversights end up costing you extra money and like us—doctors and nurses are people too! Like I said: they make mistakes! Most doctor’s offices are more than happy to help you out when your insurance company denies a claim or there’s an item you don’t recognize on your bill. A claim might get adjusted with a different procedural or diagnostic code and resubmitted to your insurance. Doctor’s offices deal with insurance companies all the time. They know claims get denied for little mistakes or omissions. So if there’s a line you’re concerned about, don’t hesitate to call and discuss your questions with them. Call before your appointments to ensure your coverage is in place and you won’t run into a financial problem in the future. If you’ve examined your unpaid medical bills closely and the information seems correct, but you can’t pay right away, don’t worry! First of all, most medical offices understand emergencies and medical issues arise whether they’re in the financial plan or not. 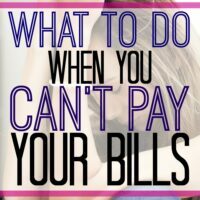 If you have a bill you can’t pay, I don’t want you to ignore or avoid it. Instead, call your doctor’s office and explain the situation. Ask them if they offer a payment plan and will work with you on the bill. Most medical practitioners offer payment plans or systems and many don’t even charge interest as long as you’re regularly paying. Call to candidly ask what they will do to work with you. Even if you’re only able to pay a small amount each month, a regular payment’s often enough to keep collectors at bay. Set up a payment plan and adjust your finances accordingly. If you must use part of your emergency fund, replace the money as soon as possible. As a last resort, there are credit options available for medical payments. However, the interest is often very high. I know sometimes you gotta do what you need to do, but only opt for these plans as a very last resort. Many medical practitioners use their own collections agencies specializing in medical claims. Just like any other outstanding bill, unpaid medical bills affect your credit score particularly if the bills are sent to collections. Credit scoring systems often don’t include medical collections in score calculation once they’re paid off. This means paying medical collections and debt will give your credit score an immediate boost. It always helps your score recover if you pay outstanding collections, so keep your outstanding balances and collections in mind, especially if you’re looking to buy a home or exploring big credit purchases. Because doctor’s offices often don’t have relationships with credit bureaus directly, the reporting is often a bit slow and paying your bills off only affects your credit if they’ve gone to collections. Medical bills appear on credit reports for a long time (again, because they don’t have a direct relationship with agencies) and getting them resolved and undo damage to your score is a huge challenge. If you suspect a charge is amiss on your report, contact the collection agency and keep every correspondence documented in writing. Save all documentation and stay diligent about the dispute. 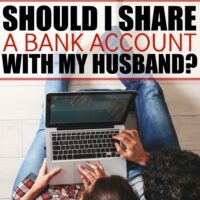 Credit disputes are hard to resolve so stay at it. Medical bills are a challenge, but they’re no reason to fret! 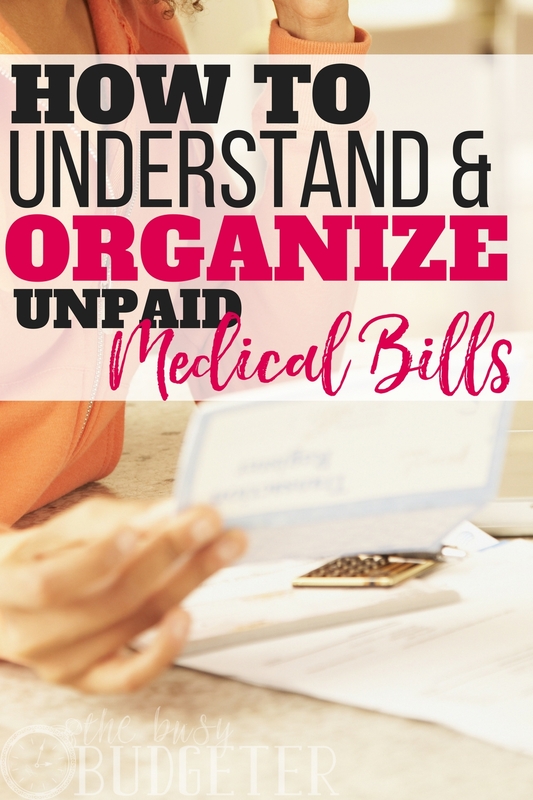 You can start to make sense of and organizing your unpaid medical bills with these easy steps. Don’t ignore them—tackle them now and protect yourself into the future! Have you ever faced confusing medical bills? What did you do if you couldn’t pay? What if they are already in collections and showing on your credit report? Have been yearning to get a new car and house but i was rejected because i had a very low score of 500, i was really worried until i ran into a old friend of mine who recommend me to a professional credit repairer who helped me increase my score to 780sjust in few days.I promised my friend i was going to reveal this credit repairer to the world if he fix my scores, well I’m referring you to creditrepairtechnologies(AT)gmail(DOT)com for increase in your credit score and removal of all unwanted items from your credit.